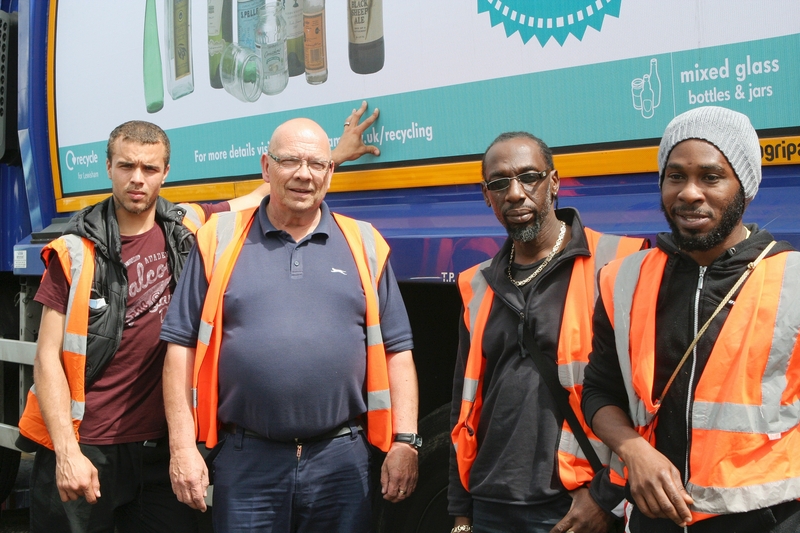 Over the last few weeks, the recycling department has been going out with crews to see some of the issues they face whilst carrying out their collection duties. We are trying to work closer with the crews to tackle the main issue of contamination as it causes the most problems for the Council. The recycling crews have been told to check the recycling bins before they are loaded into the truck to ensure that everything in them conforms to the sticker which every household should have on their bin. They are looking out for items such as black sacks which are a problem as the crews don’t know what’s inside the sack. This could range from food and nappy waste through to green garden waste. The crews are working together to tackle issues with contamination. All these are a problem for a number of reasons. Food and garden waste is wet and soggy and will start to smell if it’s been left in a wheelie bin for over a week. If this isn’t spotted, or a resident tries to hide the waste underneath the recycling, then it will get tipped into a recycling truck. If this happens, the waste will be compacted and the wet, smelling contaminants will spread throughout the load and render the hard work of other recyclers void as much of the recycling won’t be used and will instead have to go for incineration. As well as garden, food and nappy waste, many people think that items such as wood can be recycled at the materials recovery facility. This is incorrect. Whilst wood can be recycled by being chipped and turned into other products, putting it into the recycling bins is not the right way of achieving this. If wood, broken brollies, old electrical equipment, baby’s buggy’s, pieces of furniture and polystyrene amongst many other items are put into the recycling bins, then the bin is being contaminated. Steve’s team collects the large bins on estates. When this happens, our crew will tag the bin so that the resident is aware of the issue. The address is taken down and a letter is sent to the resident explaining why the bin wasn’t collected and what they need to do. If the contamination behaviour continues, then another letter is distributed. If a third letter is distributed following the continuation of the contamination, the Council will take action and remove the bin entirely. A letter will be sent to the resident notifying them of this action. The taking away of the bin however is a last resort and we’d prefer to work with residents in the first instance to get them using the bins correctly before we get to this stage. As a general rule of thumb for those that aren’t sure of what can be recycled, we say that if the item that you want to recycle doesn’t appear on the sticker of the bin, then please don’t put it into your recycling bin and use your regular refuse bin instead. 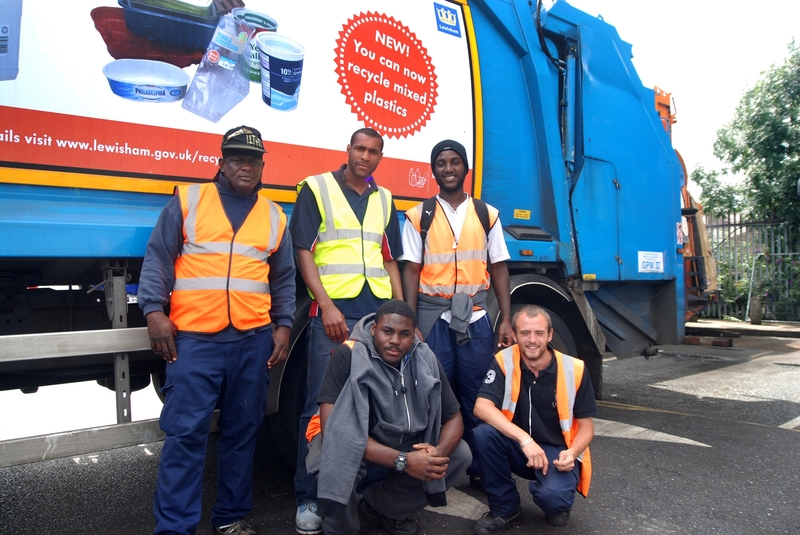 Categories: Mixed Plastics, MRF, Paper, plastic bottles, recycling | Tags: contamination, crews, crews tackle contamination, Recycling crews, say no to contamination, Tackling contamination, Tackling contamination in Lewisham, tagging bins | Permalink.